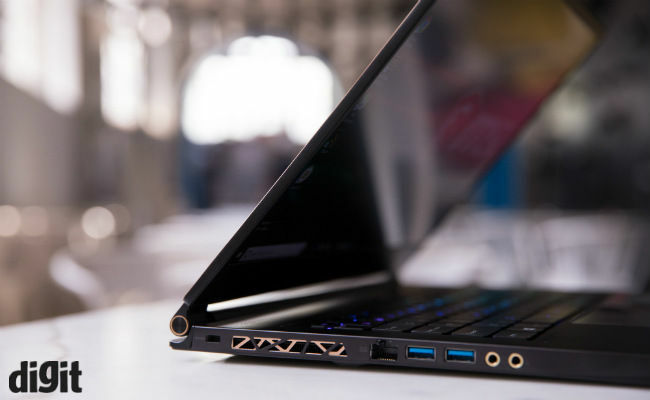 At just 1.7mm thick and weighing just 1.88 kg, the MSI GS65 Stealth Thin 8RF packs a whole lot of hardware. Over the years we have seen many gaming laptops, and most of them look pretty similar. Most of these gaming machines are big, bulky and powerful. Now, whether you call the looks gaudy or beautiful, depends on how you perceive things, but we leave that up to you. Anyway, to change that notion, NVIDIA introduced its Pascal based Max-Q GPUs last year and though these are still not as widely adopted, they do provide a way to bring down the size and weight of gaming laptops. 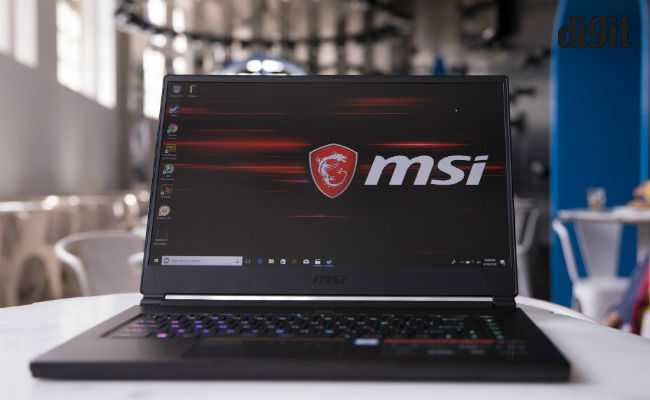 We saw a few machines launch last year with NVIDIA Max-Q and this year, MSI has launched its new laptop, the MSI GS65 Stealth Thin 8RF based on a GTX 1070 Max-Q GPU. With a price tag of Rs. 1,89,990, this is not really an entry-level laptop, and the specifications don’t say otherwise. We had the chance to take a look at the machine and play some PUBG on it for more than an hour and this is what we think about it. Gaming laptops have never been less than 2 kgs for the most part of their existence, but that barrier was broken quite recently. The MSI GS65 Stealth weighs just 1.88 kgs which for a machine of its specifications is quite the achievement. Even compared to some other gaming laptops launched by MSI alongside this machine, this is quite portable. Some of that portability is a byproduct of the slimmer bezels around the 15.6-inch display. 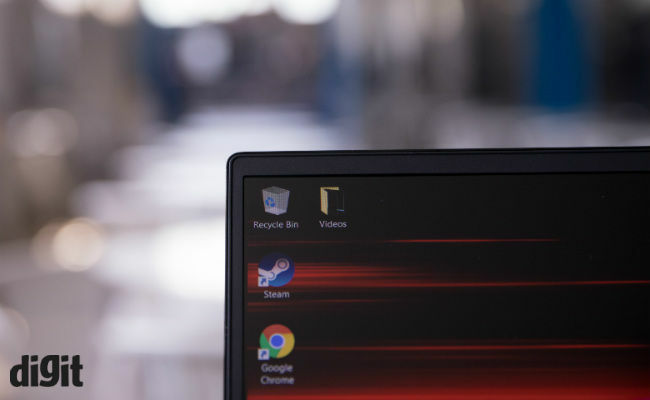 The trend of slimming down the display on laptops is finally catching on and we like it. The Stealth here basically brings down the 15.6-inch display into a 14-inch chassis, similar to the Dell XPS 15. Besides being thin and lightweight (relatively), the Stealth is also nicely designed. The machine has a very discreet black paint job and the entire body has no features which jut out. The mono design philosophy is only broken by the chamfered gold edge, which to be fair, looks quite classy. 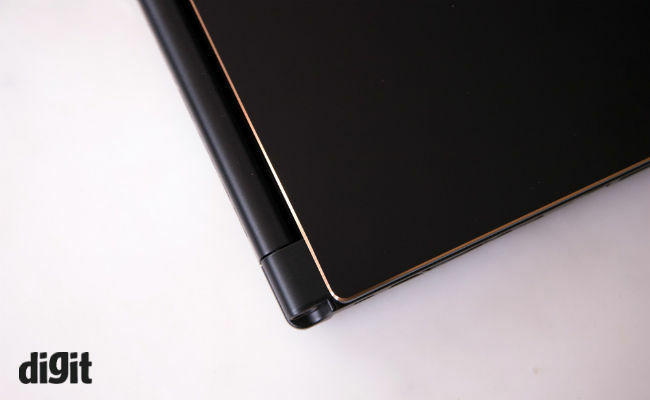 It may remind some of you of the HP Spectre x360, and we won’t blame you for that. 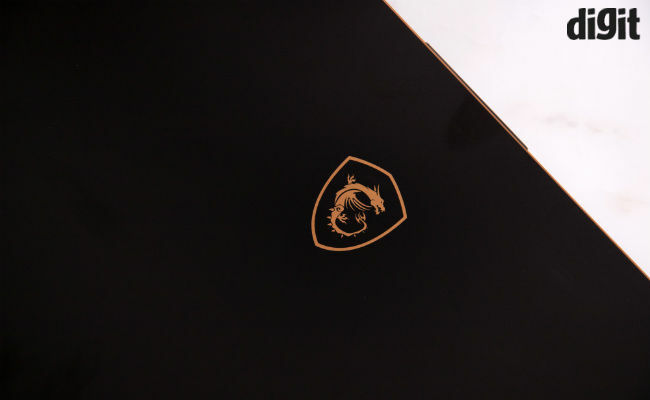 Even the MSI dragon logo is painted on instead of the embossed emblem we see on other MSI machines. it is quite simply a gaming laptop, which you won't mind carrying around to board meetings. Design apart, the built quality is something which we are not entirely sure about. Though the entire body is made out of aluminium, there is a quite a lot of flex in the body. The flex is easily visible when someone would press down on the keyboard deck, although we think in normal day-to-day use, this may not be an issue. At the moment, we have not yet reached a verdict on the build quality. Although, we will be taking a deeper dive into the build quality, chassis and heat management in our full review. The best thing about this laptop though is the performance, which is provided by the Intel Core i7-8750H processor. 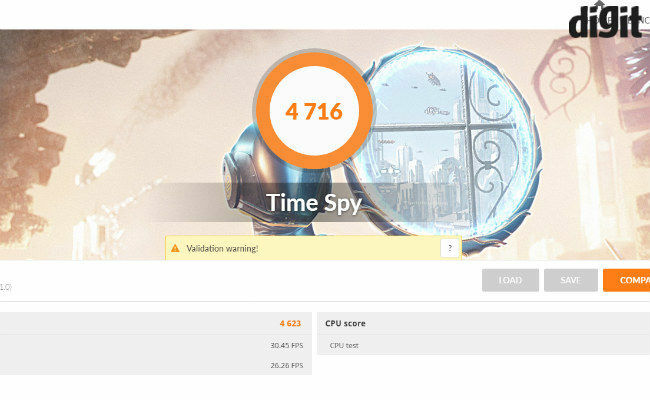 This new hexa-core chip puts out some impressive scores in initial performance benchmarks. 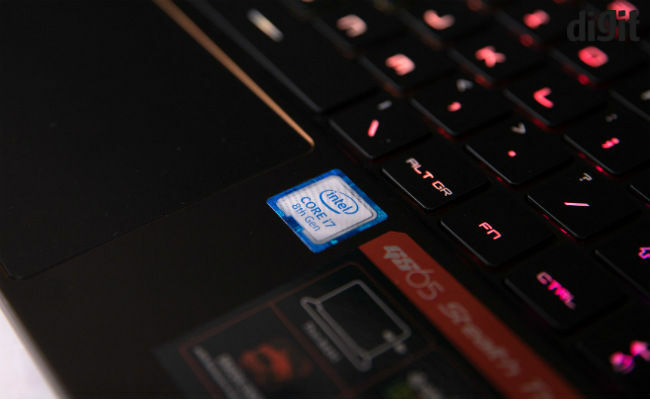 The multi-core scores on the Cinebench 15 benchmark, suggest that the new H-series processor is about 50% more powerful than the 8th gen U-series processors, available in day-to-day laptops. The graphics are then handled by the aforementioned NVIDIA GeForce GTX 1070 GPU, which is present here in its Max-Q format. This is a powerful GPU and capable enough of providing more than 60fps in a wide variety of games, on the beautiful 144Hz display. Needless, to say that the performance figures are quite good. While we were short on both time and games, we did manage to die more than a couple of times in PUBG before we left for the day. The laptop happily ran the game over 75fps at all settings set to Ultra. However, the machine throws out quite a lot of heat while gaming. Even with a triple fan cooling layout, the temperature readings on the chip itself touched 90-degree celsius multiple times. The temperature on the keyboard deck was highly restrained, but it still hovered over the 45-degree Celsius mark, making it a bit uncomfortable. 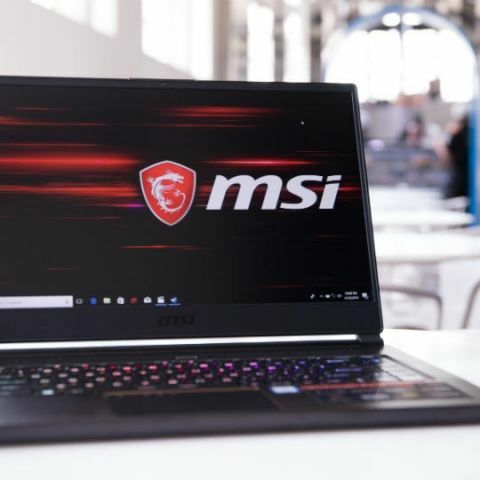 The MSI GS65 Stealth seems like a capable competitor to the upcoming Asus Zephyrus M. It seems to have some issues with heat management, however, we will reserve our verdict on this machine as the one we had for this preview was an engineering sample.